The + sign on the top-right allows you to add additional photos. Tap on the photo or video clip to select it. When it is outlined in yellow you can edit it. You can adjust the length by extending or shortening the clip. You can choose to adjust or turn off the Ken Burns Effect (the zooming effect that is automatically placed on pictures). 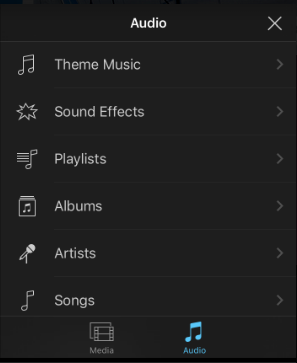 You can add text over the image or video clip by selecting "Title" and choosing a text layout. 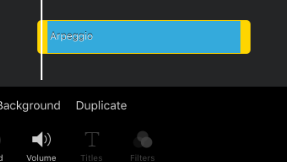 Then simply double-tap on the text to write. 1. 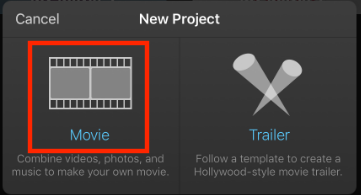 Open iMovie and select the video project you created. Tap on the "Share" Button and select " Save Video." 2. Select "Large - 540p" or "Medium - 360p". Do NOT choose anything larger or you will not be able to upload your file to Schoology. 3. Wait for the video to export. You will know it has finished when the notification pops up on your screen. 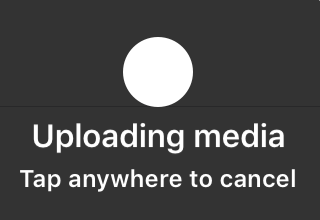 Your video should now be in your Photos. 1. Open Schoology. Find the course and assignment you to where you wish to submit your video. 2. Tap on the submissions tab. Then the "+" and choose "Submit Photo/Video." 3. Find and select your video, then tap on the green check mark. Wait for the video to fully upload before closing out of the app.